I am a small breeding home of NSDR and MASCA Mini Aussies. I strive to improve the breed and produce top quality dogs. I breed only 1 or 2 liiters a a year. I believe in quality not quantity. I also offer STUD SERVICE! My males have good bone, coat, size and color. View website for pics of my studs, females and past pups. Champion bred Mini Aussies. Adults OFA and Cerf. clear. 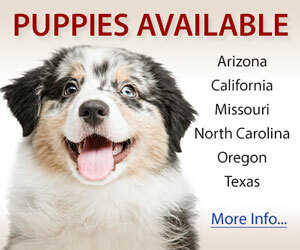 All pups sold on guarantee to the perfect matched home. 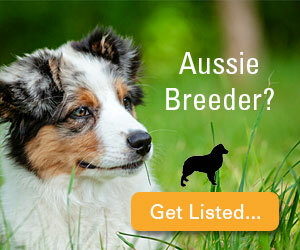 We breed for Quality pups with true Aussie type. The Miniature Australian Shepherd should be the same as the Australian Shepherd just in a smaller package. Miniature Australian Shepherds make great family pets. All our pups come with a full 2 year guarantee on eyes & hips. Pups will have all shots up to date for their age will be wormed on a regular basis. We have both pet/show puppies! Champion Lines! Pups raised in the house and handled from day one.